VANCOUVER BC, JUNE 14, 2016 – On Saturday July 30th from 2pm-8pm, Vancouver’s Queen Elizabeth Theatre Plaza will play host to the city’s newest Craft Beer & Cider sampling event – but there’s a twist; everything is coming from a can! Burnaby’s West Coast Canning work with BC’s up and coming breweries to can their brilliant brews with their state of the art mobile canning unit. “We wanted to create an event that allowed us to first highlight the quality of the craft beer being brewed here in BC, as well as the unique care and attention that each brewery is putting into both their product and packaging,” said Matt Leslie, co-founder of West Coast Canning. “There has long been a stigma associated with cans as we immediately equate them to the mass produced brews we were stealing out of the family fridge as teenagers, but they are quickly becoming the preferred package to get these amazing craft beers and ciders to market.” It’s easy to see why cans are a popular choice here on the west coast; they are easy to take up the mountain or out on the boat while protecting the beer from UV exposure and are easily recyclable. West Coast Canning (WWC) is collaborating on this new celebration with Music Heals, a Vancouver-based charitable organization focusing on increasing accessibility to music therapy across the province. 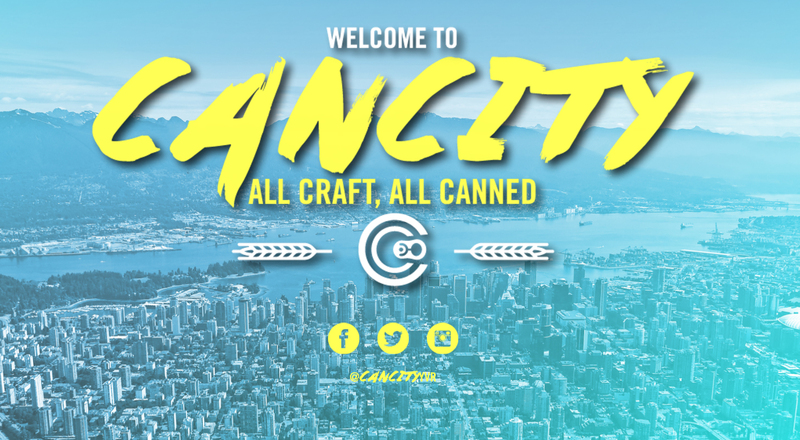 WCC is paired up with Wet Ape Productions for the production and promotion of CANcity, working with Liam Peyton, founder of the Whistler Village Beer Festival (Whistler, BC) and Great Okanagan Beer Festival (Kelowna, BC). Amongst the 20 breweries in attendance are Field House Brewing Co. (Abbotsford, BC), Barkerville Brewing (Quesnel, BC), The Parkside Brewery, Moody Ales, Twin Sails Brewing (all of Port Moody, BC), Hearthstone Brewing (North Vancouver, BC), Longwood Brewing (Nanaimo, BC) and Category 12 Brewing (Victoria, BC). Guests can also expect fun interactive games, cool vendors, and some of the cities favourite food trucks. A limited number of Early Bird passes for CANcity will be on sale for $20 at 9am, Wednesday, June 15th, at www.cancity.ca. Regular passes are $25. I along with 4 friends attended this event last Saturday July 30, 2016 and thought you might to know our thoughts on attending. 1st the cost per ticket at $30.93 was way to much money for what you presented. 2nd the fact that each brewery was only allowed to present 2 of their products made little sense. 3rd Only 2 food trucks, this was a real downer and really added to our frustration having paid $40.00 to attend we expected much more selection. 4th Game selection was pitiful to say the least. 5th places to sit was sadly lacking. 6th $1.75 per tasting was a total rip off. 7th Not an enjoyable experience and certainly not one we would recomend to anyone.